Total Packaging Solutions continues its commitment to bringing new eco-friendly packaging to the food industry. Recently announced – a new line of 100% compostable trays for packaging meats and produce. 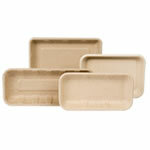 TPS compostable packaging trays are made from natural fiber which is a renewable plant resource. Renewable fiber is becoming a popular material for packaging manufacturers looking to reduce the impact their products have on the environment. Specifically deforestation in the case of paper products, and pollution and swollen land fills due to petroleum based packaging materials like Styrofoam. The new trays from Total Packaging Solutions are sturdy, functional, and can be easily substituted into meat and produce packaging operations to give their products a ‘green’ seal of approval. 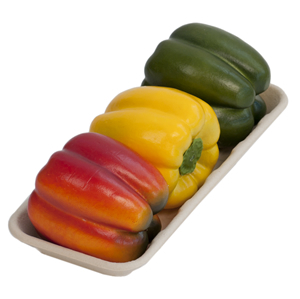 The trays are designed for the food industry so they are food-safe, freezer & microwave safe. To learn more about the new TPS compostable meat and produce trays, contact Total Packaging Solutions.